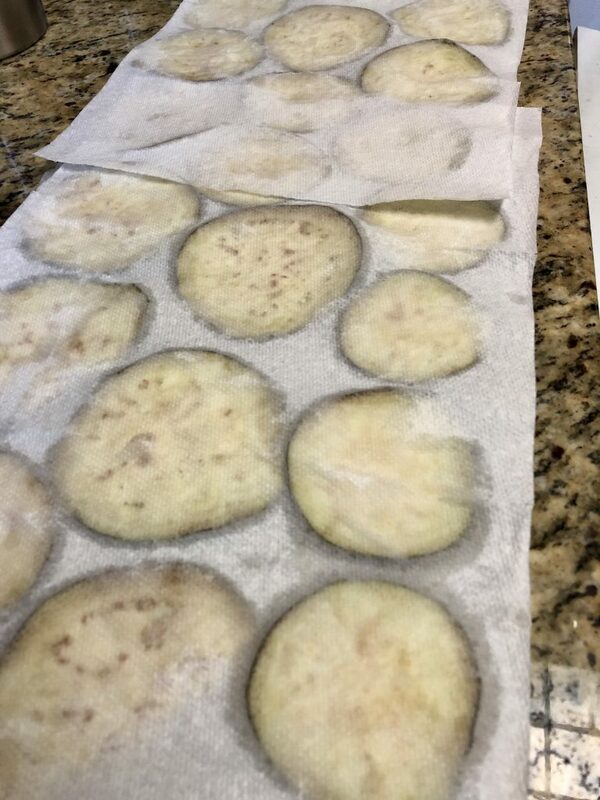 OK here’s the deal, eggplant can be very bitter so we salt it to “debitterify” it. I’m not going to lie–I actually don’t understand the science behind what actually happens here but, just don’t skip this step! Layer the eggplant in a strainer, generously salting each layer. 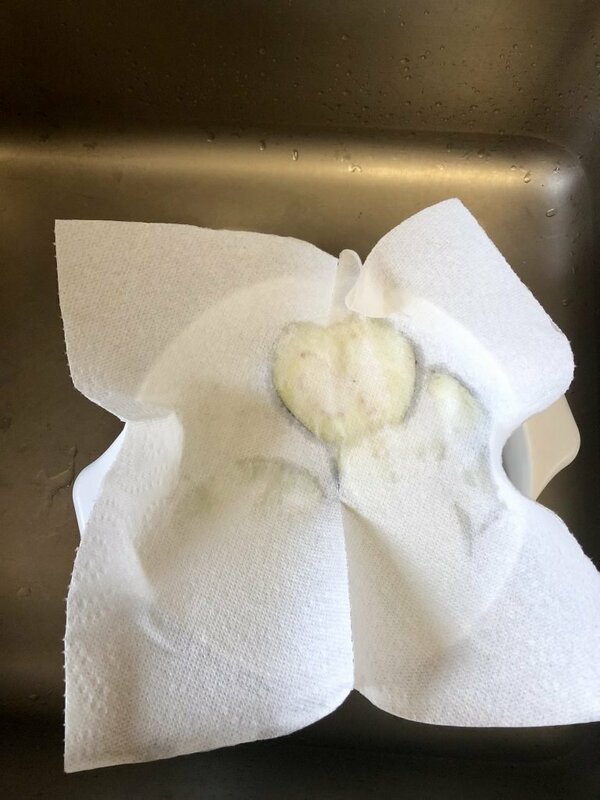 Place a paper towel on top of strainer and place an empty mixing bowl on top. The weight helps move things along. Place the whole stack into the sink and let sit for 45 minutes. 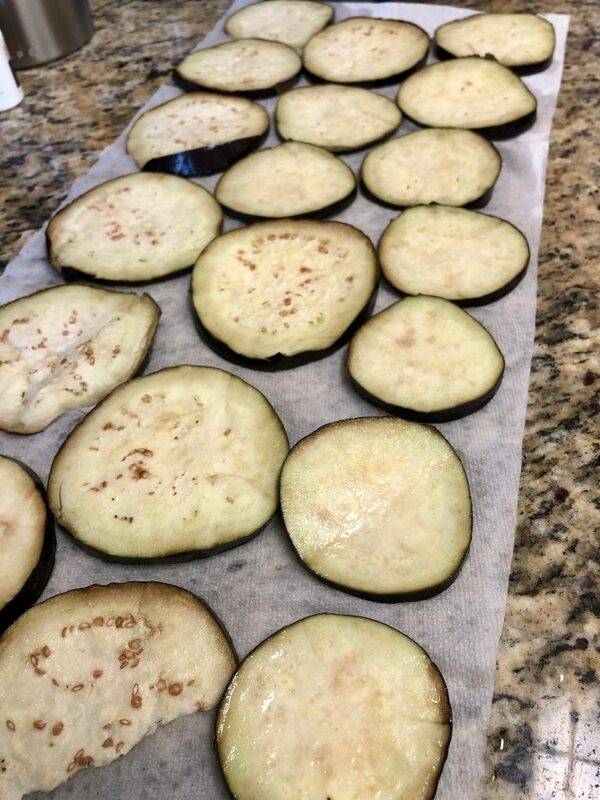 After 45 minutes, thoroughly rinse the eggplant and pat dry with paper towels. Preheat oven to 400 degrees. Line a sheet pan with aluminum foil and spray with cooking spray. Place the beaten eggs in a small bowl. In a medium or wider bowl, combine the matzo meal, salt, onion powder, garlic powder, and Italian seasoning. Make an assembly line on your counter, starting with the eggplant, then egg, then matzo meal mixture, then the prepared sheet pan. 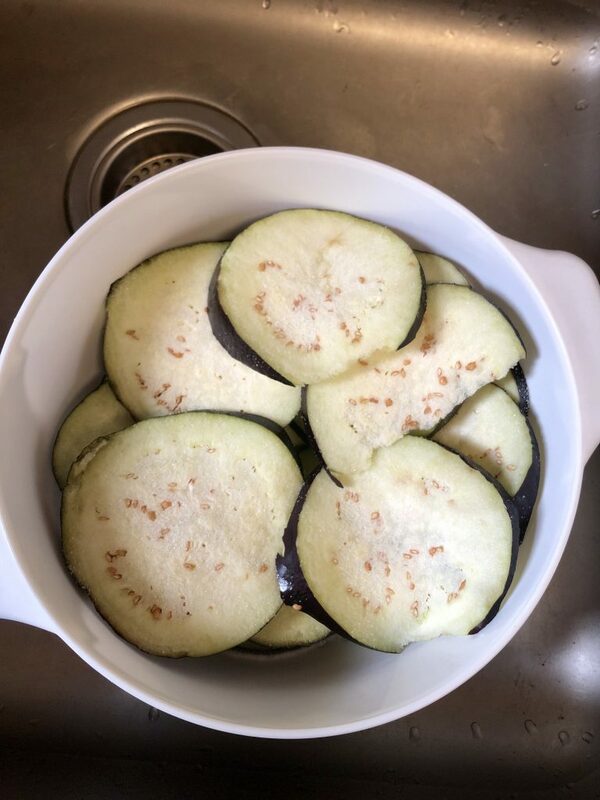 Dip each piece of eggplant in the egg (letting any excess drip off), then in the matzo meal mixture, then arrange in a single layer on the prepared sheet pan. Repeat until all are coated. Depending on the size of your eggplant, you may need a second pan. 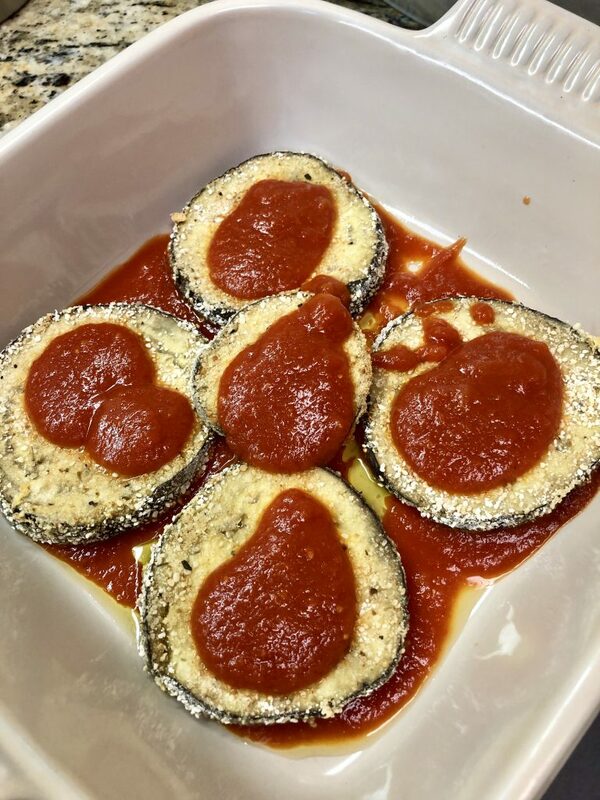 Bake the eggplant for 10 minutes, flip each piece of eggplant over, then bake for 10 more minutes. Remove the pan from the oven and decrease the temperature to 350 degrees. Drizzle some olive oil in an 8 x 8 or 9 x 9 baking dish. 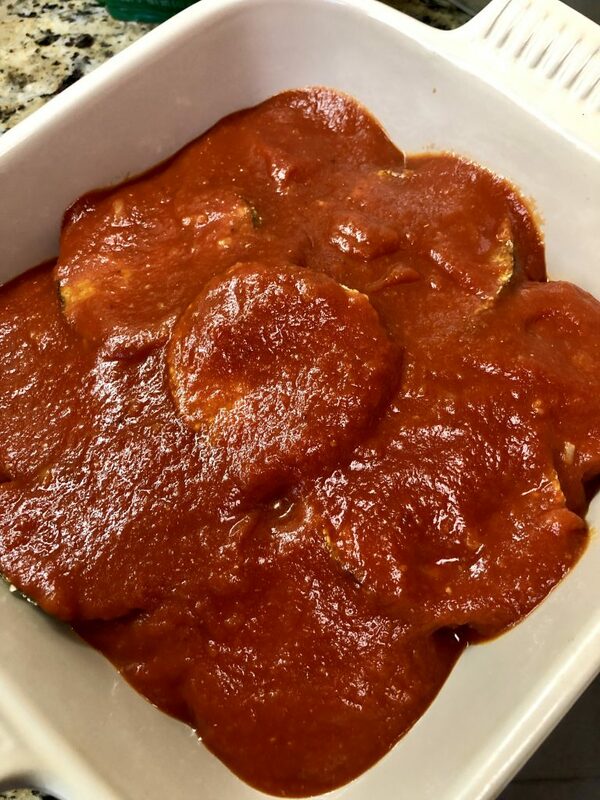 Spoon some marinara sauce into the baking dish. You just want a bit of a coating on the bottom of the lasagna. 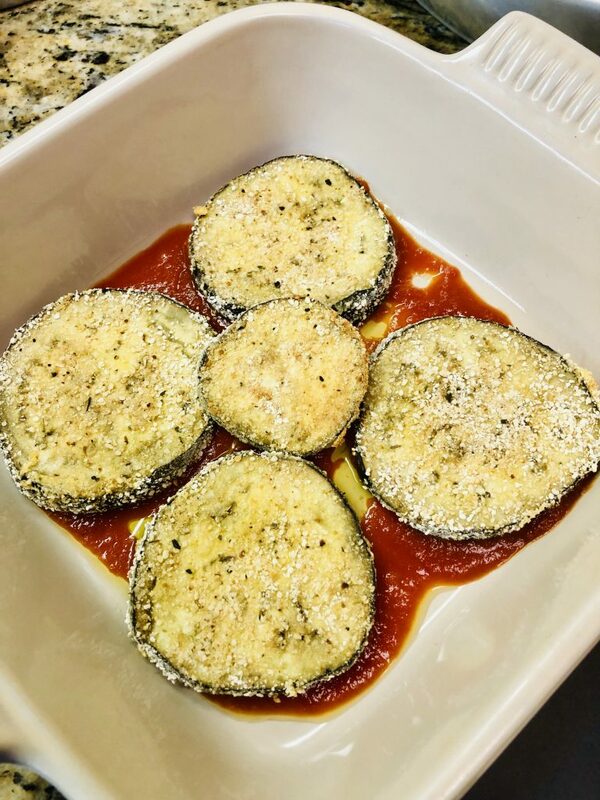 Arrange a layer of eggplant slices in the pan. 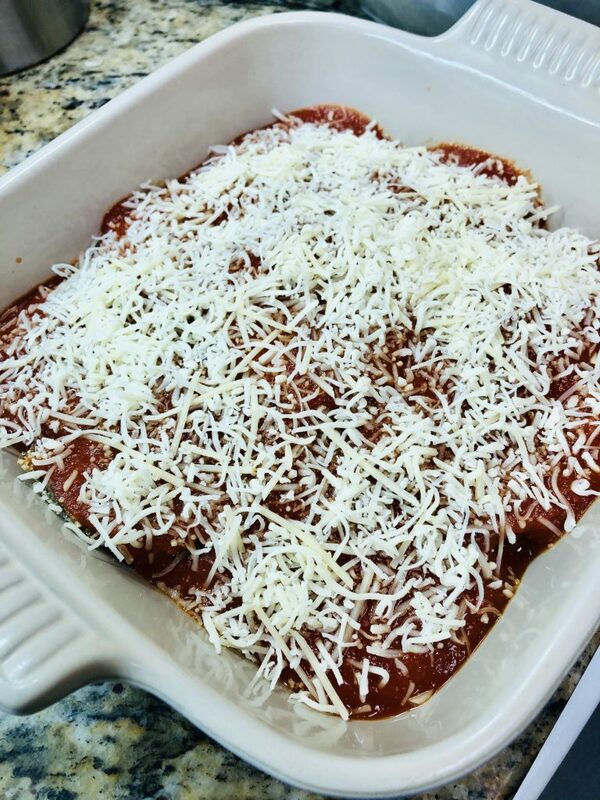 Spoon some marinara sauce onto each slice, then sprinkle cheese onto each slice. Now repeat until all of the eggplant is layered into the dish. Pour any remaining sauce over the top, sprinkle with the rest of the cheese. When done, you can sprinkle with the fresh basil and/or parmesan if you want! Serve hot. Check out that cheese pull! YUM! 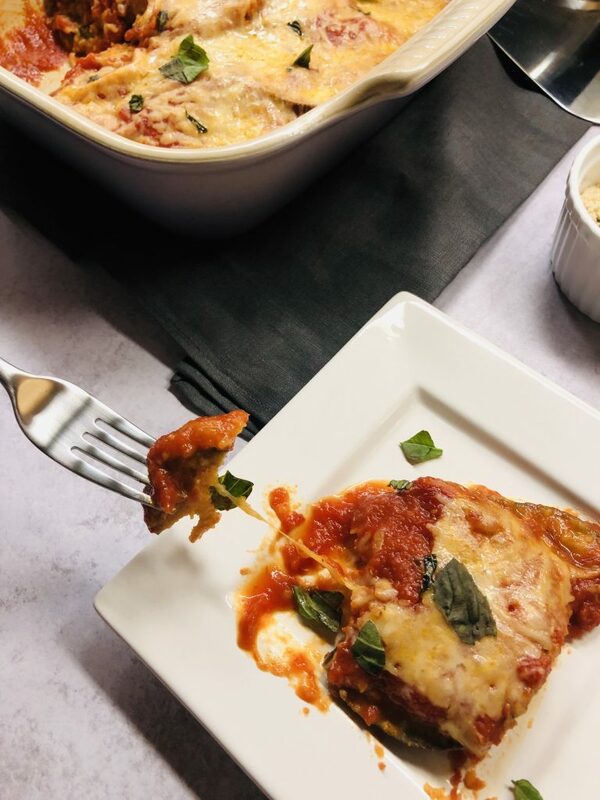 I hope you love this Passover Baked Eggplant Lasagna as much as I do. Happy Passover! 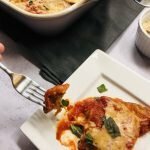 Eggplant can be very bitter–do not skip this step! Layer the eggplant in a strainer, generously salting each layer. 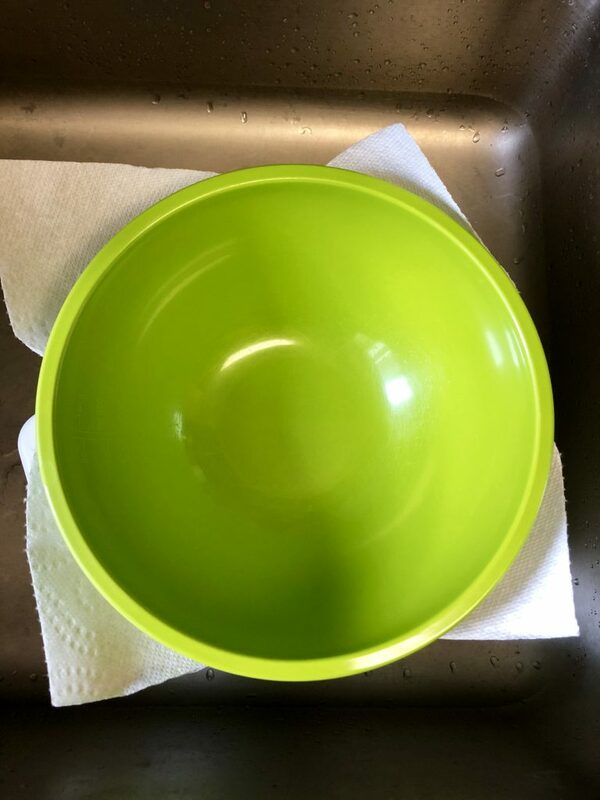 Place a paper towel on top of strainer and place an empty mixing bowl on top. Place the whole stack into the sink and let sit for 45 minutes. The salt draws out the bitterness and is crucial! 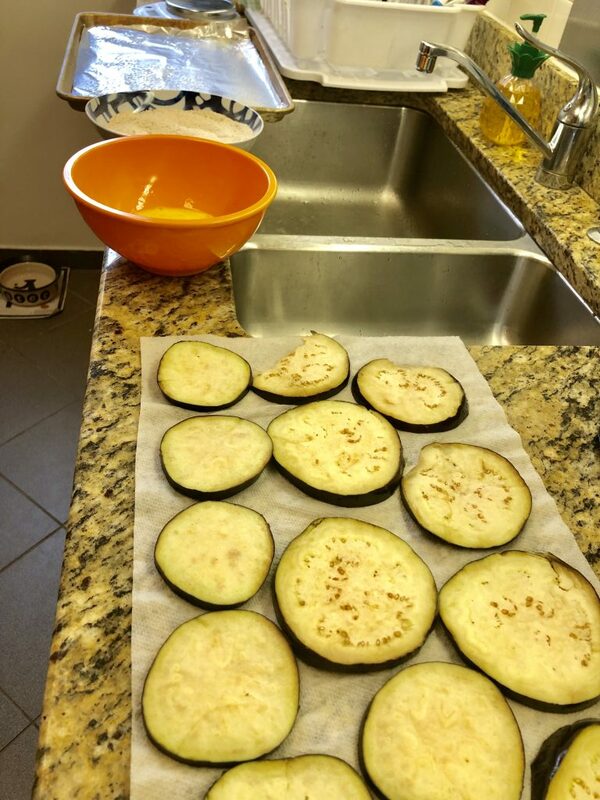 After 45 minutes, thoroughly rinse the eggplant and pat dry with paper towels. Place the beaten eggs in a small bowl. In a medium or wider bowl, combine the matzo meal, salt, onion powder, garlic powder, and italian seasoning. 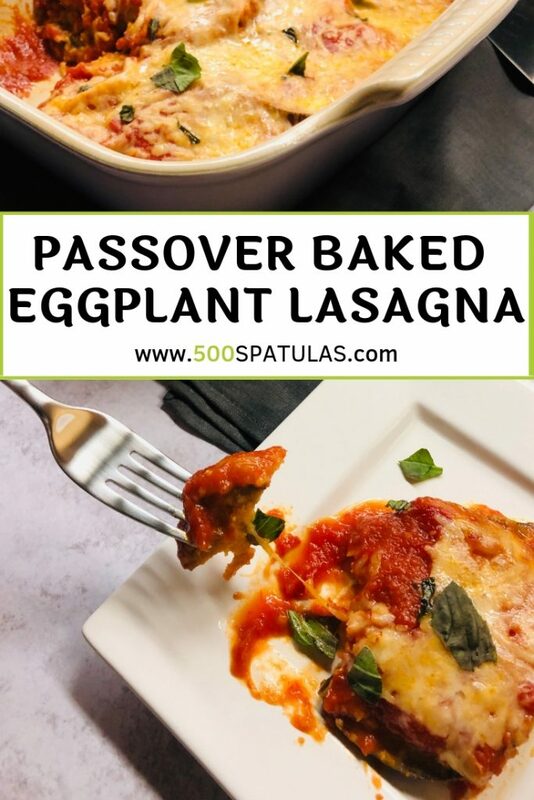 Make an assembly line on your counter, starting with the eggplant, then egg, then matzo meal mixture, then the prepared sheet pan. 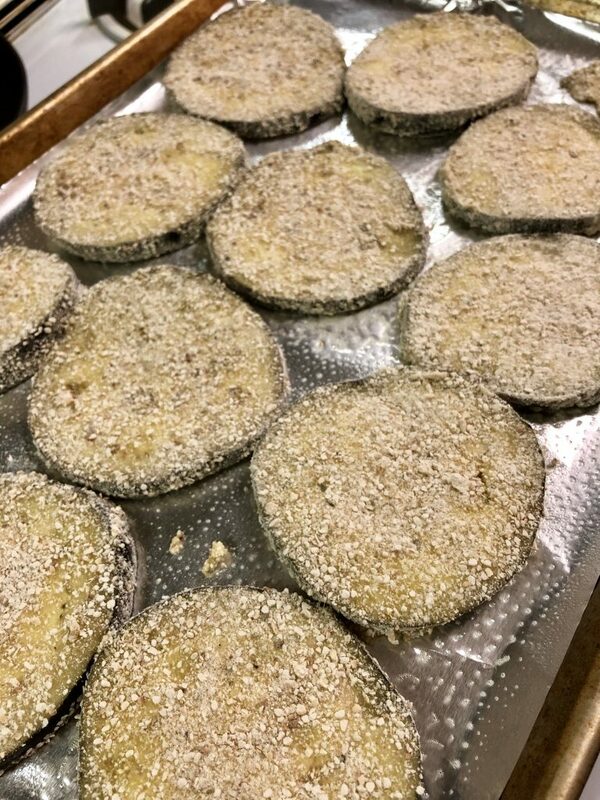 Dip each piece of eggplant in the egg (letting any excess drip off), then in the matzo meal mixture, then arrange in a single layer on the prepared sheet pan. Repeat until all are coated. Depending on the size of your eggplant, you may need a second pan. Drizzle some olive oil in an 8 x 8 or 9 x 9 baking dish. 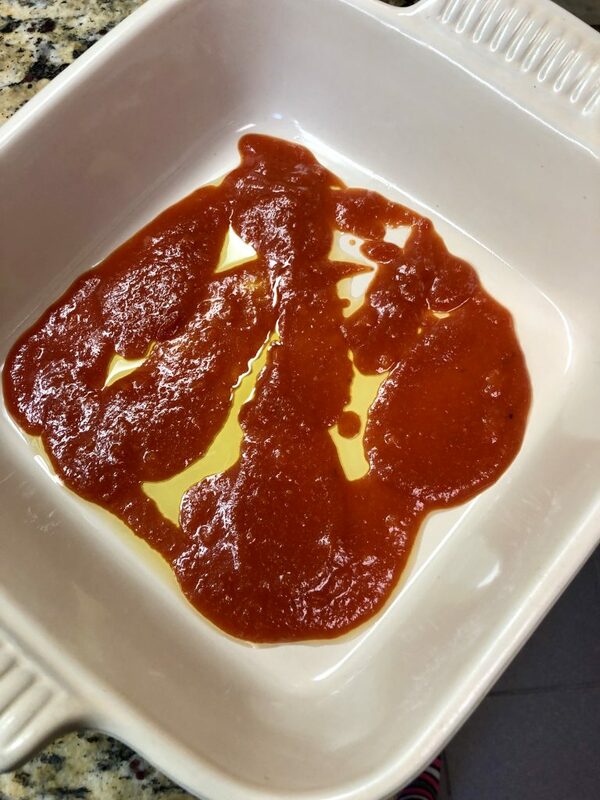 Spoon some marinara sauce into the baking dish. You just want a bit of a coating on the bottom of the lasagna. 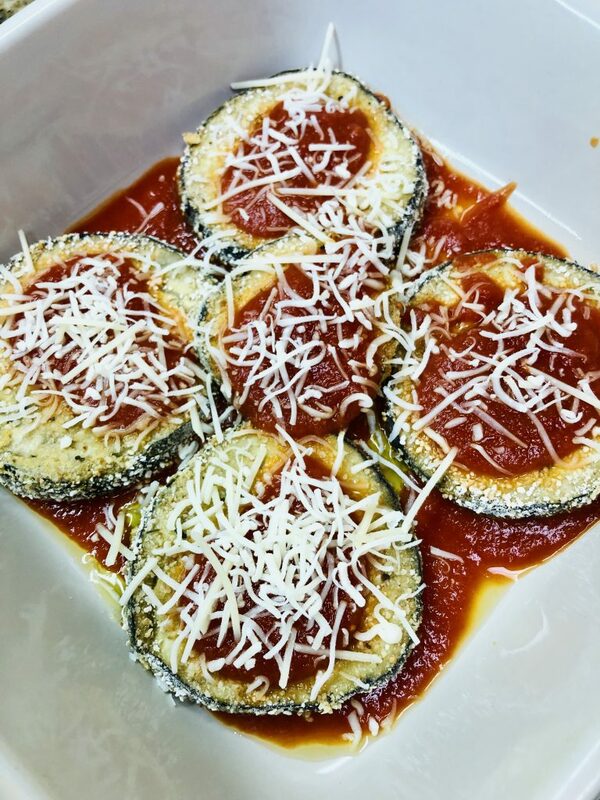 Arrange a layer of eggplant slices in the pan. 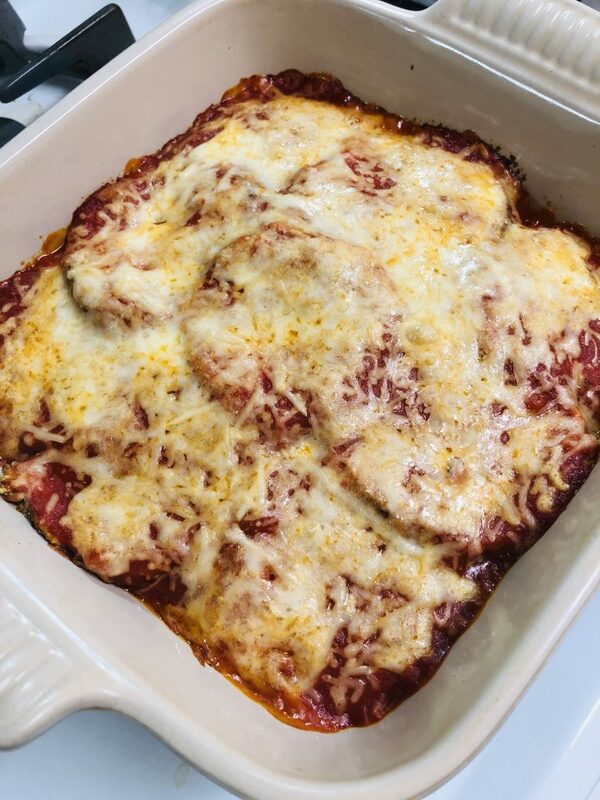 Spoon some marinara sauce onto each slice, then sprinkle cheese onto each slice. Now repeat until all of the eggplant is layered into the dish. Pour any remaining sauce over the top, sprinkle with the rest of the cheese. Bake uncovered for 30 minutes. 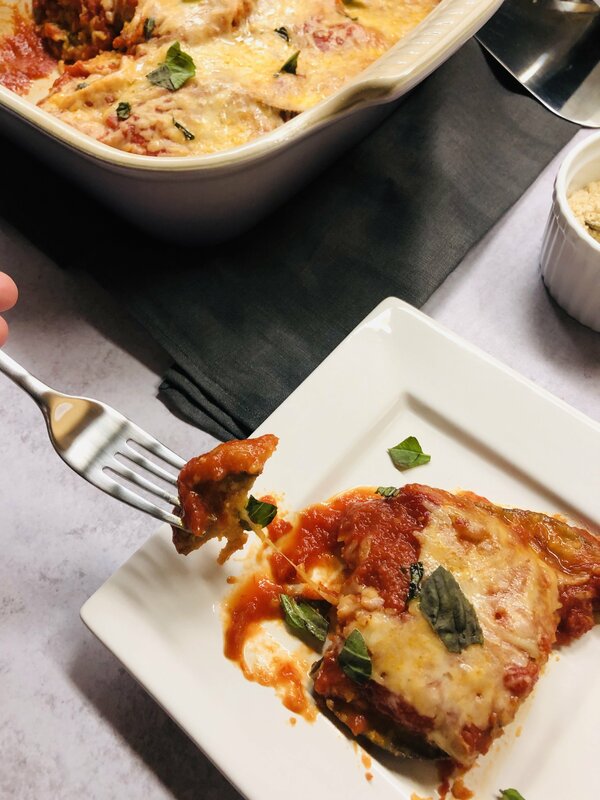 When done, you can sprinkle with the fresh basil and/or parmesan if you want! Serve hot.